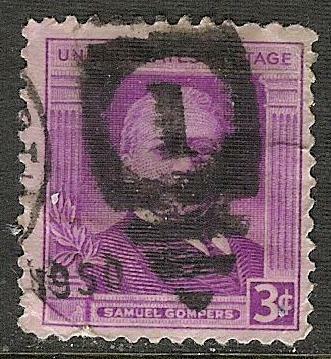 Samuel Gompers was born in London, England in 1850. At the age of 10 he was sent to work as a cigar maker apprentice to help out his impoverished family. In 1863 the Gompers' immigrated to the US and settled into Manhattan's Lower East Side. For the first year and a half in New York, Samuel assisted his dad manufacture cigars at their home. 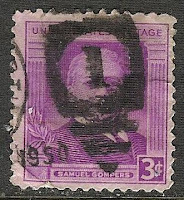 The US issued a stamp commemorating Samuel Gompers on January 27, 1950. The image above at right courtesy of Amazon. 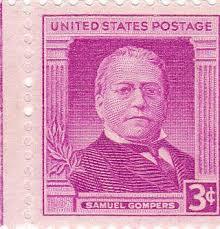 In 1864 Samuel Gompers joined the Cigarmakers' Local 15 Union became active in it's activities. 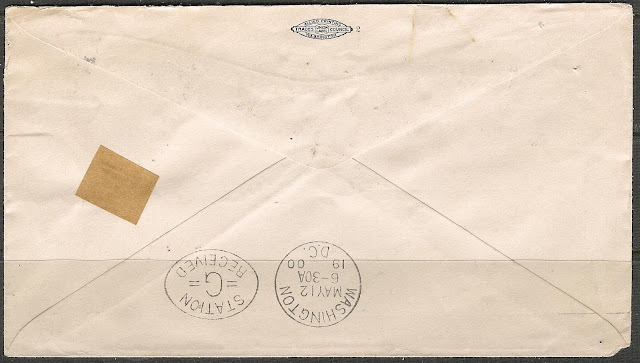 In 1875 Gompers became president of Local 114 of the Cigarmakers' union and introduced high dues to cover the cost of implementing out of work benefits, sick benefits and death benefits for members in good standing. In 1886 Gompers was elected as second vice-president and in 1896 first vice-president of the Cigarmakers' International Union. He continued on as first vice-president with them until his death in 1924. In 1881 he helped form the Federation of Organized Trades and Labor Unions, which went on to become the American Federation of Labor in 1886. 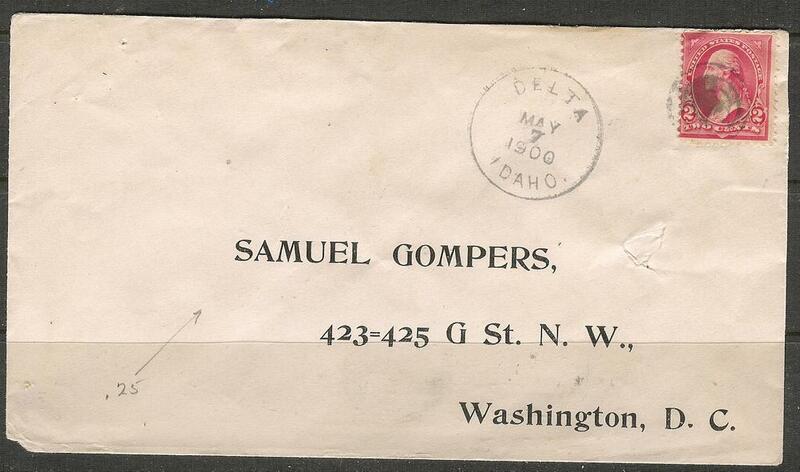 Gompers was its president from its inception until his death in December of 1924, with the exception of 1895. 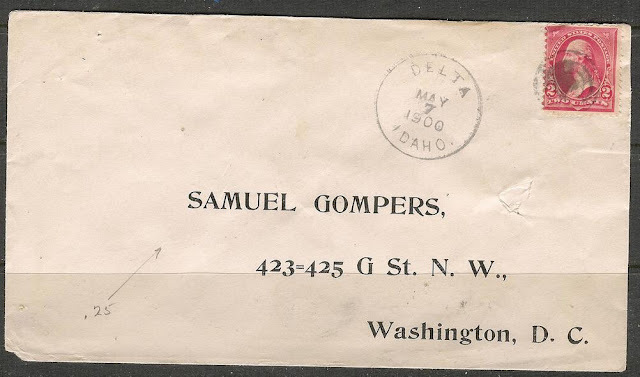 A cover addressed to Samuel Gompers when he was President of the AFL.